With a Little Help From My Fwends is a new remake of The Beatles’ entire Sgt Pepper’s Lonely Hearts Club Band album put together by The Flaming Lips and featuring My Morning Jacket, J. Mascis, Miley Cyrus, Moby, Dr. Dog, Phantogram, Tegan and Sara, Grace Potter, Foxygen, MGMT’s Ben Goldwasser and many more. 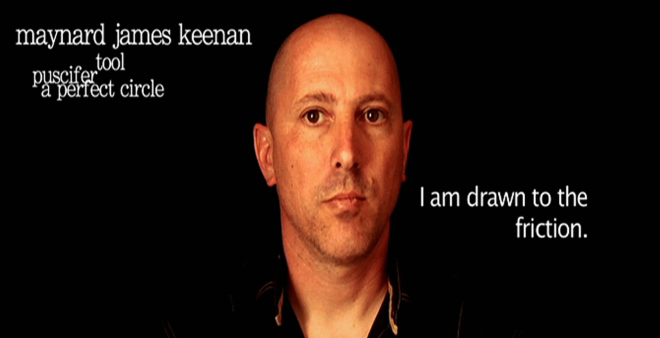 One collaborator stands out though: Tool/ A Perfect Circle frontman Maynard James Keenan. 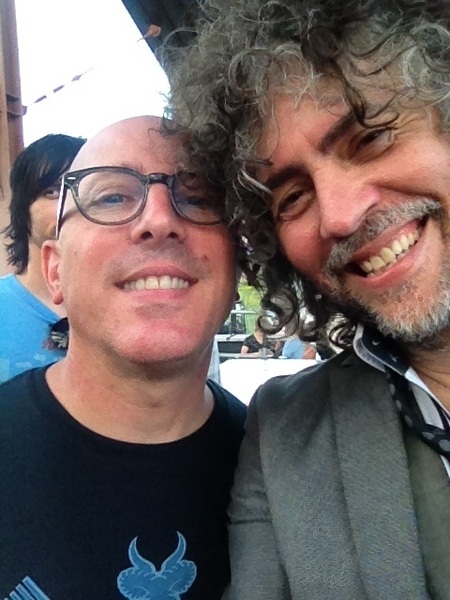 You’ll notice Keenan mentions his “twenty year relationship with kindred spirits, Steven [Drozd] and Wayne [Coyne].” If you’re not aware of what he speaks of, this post is for you: a brief history of Maynard and the Lips crossing paths for the past two decades. It all began in Ye Olde 1994 when The Lips – on the tail of their Billboard Hot 100 career peak with “She Don’t Use Jelly” – were the opening act for Tool’s spring tour. The metalheads that came to see the headliners were antagonistic towards the Lips; apparently they didn’t take kind to shambolic psych alt-rock Flock of Seagulls covers. This tension between the crowd and the Lips energized the band. To this day Steven cites this hostility as a key factor in these shows being among his favorite of all time. @livingformusic it was spring of '94 and they were such great guys. That tour was awesome. “[Aenima] started out differently for Tool, undoubtedly because of the not entirely unexpected departure of founder bassist Paul D’Amour a few songs into everything. Five songs were already written with D’Amour when he decided to jump ship (“Stinkfist”, “Eulogy”, “H.”, “Pushit” and “Aenema”). Something’s a bit off here – Tool was on Lollapalooza ’93, the Lips ’94 (Krugman and Cohen are almost certainly referring to Tool’s 1994 tour with the Lips). In any case, which Tool dude told the tale that named the Lips 1995 album? Was it Maynard? The above quote was the premise of Christopher Pomerenke’s probing 2009 music documentary The Heart is a Drum Machine. Among the “top artists” featured in the film: Wayne Coyne and one Maynard James Keenan (as well as Andrew VanWyngarden, Isaac Brock, Elijah Wood, Jimmy Tamborello, Janet Weiss, John Frusciante, Juliette Lewis, Nic Harcourt, and many others). The same film company also produced Blood into Wine, a film about Maynard’s wine making. I love Elton John but I don’t really like that song, it was “Rocket Man.” If we were playing somewhere and they had a grand piano there in the auditorium or in the concert hall I was always dicking around on them back then and then Maynard would come over and we’d sing a couple of songs of Elton John and other soft-rock ’70s stuff. Despite distractions (his wife was delivering their baby) and not being familiar with the song, Maynard delivered the vocal performance the Lips were looking for to finish off a backing track of “Mr. Kite” by Sunbears for a full album remake of The Beatles’ Sgt Pepper’s. Get the finished track on the new album With a Little Help From My Fwends, out October 28th on orange fluorescent vinyl, CD and digital (and streaming now). I’m pretty much 100% certain that the dude from Tool with the Clouds Taste Metallic story was Danny Carey. I can’t remember where I read that from – I think it was an ancient “Ask Kliph” thread on the old Bored – but I’m sure it was Danny.